Author receives national recognition through the INDEPENDENT PRESS AWARD®! 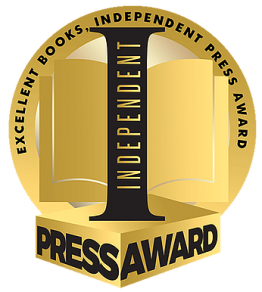 New Jersey — The INDEPENDENT PRESS AWARD recognized PRESIDENTIAL CONCLUSIONS by Douglas J. Wood in the category of POLITICAL THRILLER as a winner. PRESIDENTIAL CONCLUSIONS by Douglas J. Wood is the third book in a political thriller series about Samantha Harrison and her rise to the highest office in the land – President of the United States. In 2018, we again had a most impressive worldwide participation: cities such as London to Moscow to San Francisco, and many countries such as Australia, Canada, India and Japan, and across the globe had books to submitted to the INDEPENDENT PRESS AWARD. “We are so delighted to announce the winners and distinguished favorites in our annual 2018 INDEPENDENT PRESS AWARD. Independent publishing is very much alive, and continues to flourish worldwide,”  said awards sponsor Gabrielle Olczak. For more information please visit independentpressaward.com; and to see this year’s list of Winners and Distinguished Favorites, please visit the website pages http://www.independentpressaward.com/2018winners and http://www.independentpressaward.com/2018distinguishedfavorites.